The Pre tribulation Rapture deception is a false hope that many cling to. The tribulations that once strengthened Christianity, are now avoided at all costs. The Pre tribulation Rapture deception teaches a gathering of God’s Elect before the return of Yahshua. This is not an option or a possibility, it is a blatant lie. Flesh and blood cannot inherit the kingdom of God, nor does corruption inherit incorruption (1 Cor 15:50). The kingdom of God is wherever Yahshua is, and He brings this kingdom to us, as opposed to taking us to it. Luke 22:18 For I say unto you, I will not drink of the fruit of the vine, until the kingdom of God shall come. 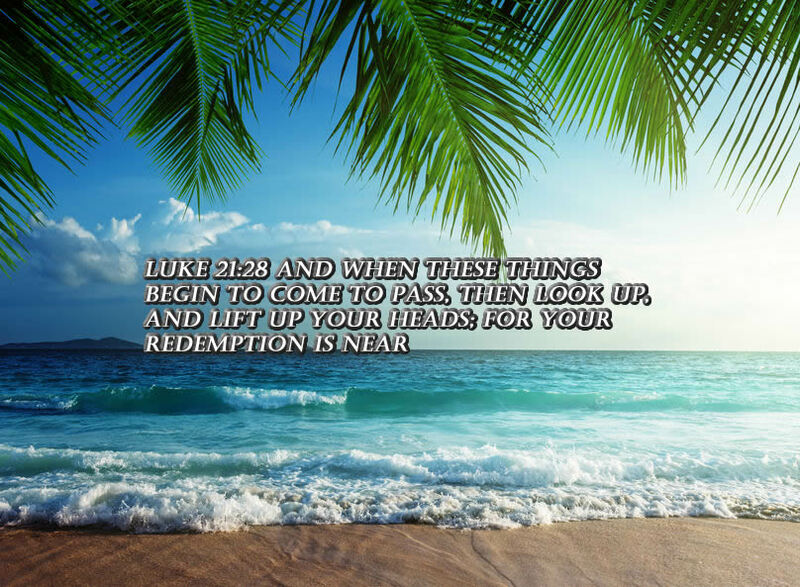 Yahshua said, “when you see these things come to pass then look up for your redemption is at hand.” These things represent the events of the great tribulation, so then the Pre tribulation Rapture deception represents yet another false teaching. When we are absent from the body, we are present with the Lord (2 Cor 5:8). However, at the end of this age, we shall be with Him in a transformed spirit, soul and body (1 Thes 5:23). The article that dispels the myth of a 7 Year Tribulation is entitled, He shall Confirm The Covenant with Many. Part two of that study guide as well as many others that dispell the myths related to mainstream eschatology are available here. The cutting-edge articles listed below can be found at christiantruthproject.com click here for the link. The last trump is at the end of The Great Tribulation period on earth, when we shall be changed, and put on incorruption and immortality. The Pre tribulation Rapture deception is a heresy and is one of many false beliefs adhered to by those who are merely playing church. Our Redemption and Salvation are one in the same and are realized at Yahshua’s second coming. Where our Lord is, there also is His kingdom. His first coming was to allow for our Salvation, and the second will be to reward the Elect with Salvation. 1 Thess 4:14 For if we believe that Yahshua died and rose again, even so them also which are dead in Yahshua will God bring with him. The dead in Yahshua, are the first to put on incorruption and immortality. Contrary to the Pre tribulation Rapture deception teaching, Yahshua descends from heaven with the Elect, He does not take anyone up to Heaven (1 Cor 15:42-53, 1 Thes 4:13-17). Yahshua does not bring the Saints and Angels with Him to earth, to turn around and take them back up to heaven. The Pre tribulation Rapture deception story quickly loses credibility in light of the true teachings of Yahshua the Messiah. Eph 1:10 That in the dispensation of the fulness of times he might gather together in one all things in Christ, both which are in heaven, and which are on earth; even in him. If we truly were taken to heaven as taught by the Pre tribulation Rapture deception group, Yahshua would not need to bring anyone to earth. 1 Thess 4:17 Then we which are alive and remain shall be caught up together with them in the cloud, to meet the Lord of the air: and so shall we ever be with the Lord. This verse above is the primary one used by those who teach the Pre tribulation Rapture deception. After the tribulation, the Lord returns in a cloud, and all eyes shall see Him (Rev 1:7). There is no secret gathering, and Yahshua only returns once in a very visible manner. It also should be noted that Yahshua will return to this earth a second time, and nowhere in scripture is it ever implied that He ever returns to Heaven. Mark 13:24-26 But in those days, after that tribulation, the sun shall be darkened, and the moon shall not give her light, And the stars of heaven shall fall, and the powers that are in heaven shall be shaken. And then shall they see the Son of man coming in the clouds with great power and glory. We are not taken up to the kingdom of heaven, but rather Yahshua brings the kingdom to us. Wherever Yahshua is there the Elect will be also, the Elect are the ones left behind. Those taken are ushered into hell, to await the second death (Rev 19:20, 20:6, 20:10-15). The elect are to reign with Christ for a thousand years. There is only one resurrection for those who are accounted worthy to reign with Him. The Pre tribulation Rapture deception requires two resurrections (Rev 20:5-6. Luke 20:35-36). The Pre tribulation Rapture deception requires a third advent of Yahshua, which is not a true doctrine. The Words of Truth that Yahshua spoke do not allow for the Pre tribulation Rapture deception. This fairy tale is not a part of the Gospel message. We need to receive His Word in our hearts as well as our minds. As well, it is essential to allow Yahshua’s Holy Spirit to dwell within us, so as to understand his Word. This indwelling does not automatically happen just because we know of Him. To claim that all who accept Christ are born-again is another misguided and deadly deception of the false teachers. To be born-again is synonymous with the Baptism of the Holy Spirit, and when this gift has been received the understanding of the Word of God becomes possible. Once we have this understanding, the Pre tribulation Rapture deception is easily recognized as another false teaching. Pre tribulation Rapture deception unto damnation? He that endures until the end shall be saved, to teach that Salvation occurs at any other time is also a terribly destructive lie (Mark 13:13). The infilling of the Holy Spirit is our connection with Yahshua, that teaches, guides and shows us things to come. The true followers of Yahshua, that are Spirit-filled, will not accept lies such as the Pre tribulation Rapture deception. This anointing then purifies the Elect who are set apart and able to deny the lusts of the flesh, and love for the world. It enables them through Faith, to take up their cross and follow the Risen Lord. This hatred of those who have separated themselves from the love of the world will only grow in intensity as we approach the end of this age. We must put on the armor of God so we can endure a multitude of tribulations. Those who are deemed worthy to enter into the kingdom of God will go through much tribulation. With Yahshua, we are able to endure until the end and obtain Salvation. People fail to realize Satan is the god of this world, and that he has used deception and infiltration of the truth to blind many. This includes those that claim to believe but do not understand, and cannot truly follow Yahshua. 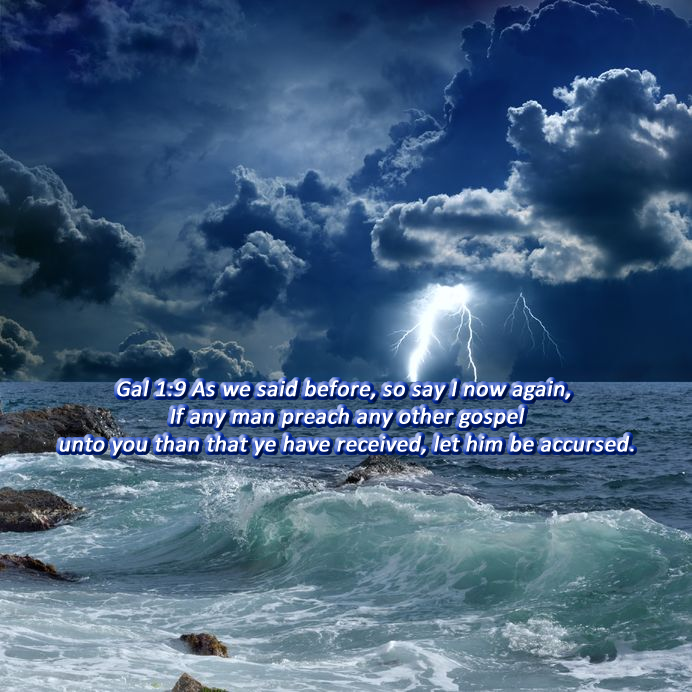 Once the Pre tribulation Rapture deception is revealed to be another false gospel, there will be a great falling away. Upon his return, Yahshua will reward the Elect with Salvation. Those who believe in the Pre tribulation Rapture deception and other deceptive doctrines, more often than naught do not have the Holy Spirit of truth residing in them. How then can they follow without His Spirit of truth residing within them? Salvation is not possible without abiding in Yahshua, and He also must dwell within us (John 15:4-10). His wrath is to be poured out on those who have the spirit of this world and are not worthy of His promises (1 John 2:15). When we study Isaiah chapter sixty-five in its entirety, we get a better picture of both the wrath and rewards of Yahshua. The Pre tribulation Rapture deception is fabricated nonsense, brought about by fraudulent charlatans posing as God’s messengers. 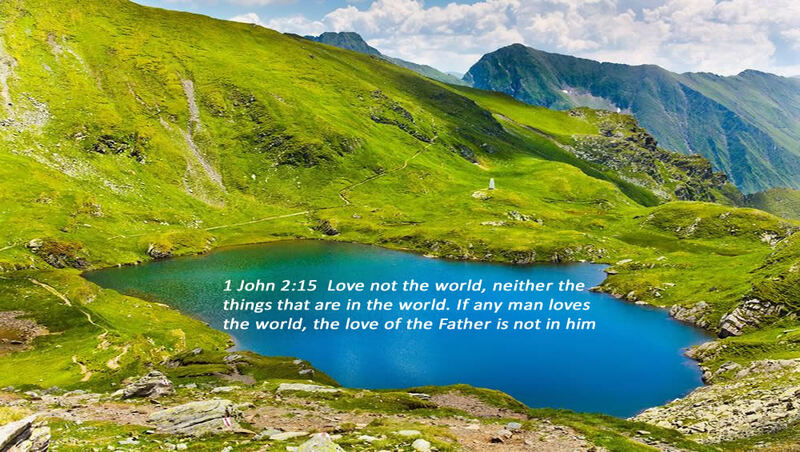 In John chapter fourteen Yahshua tells His disciples that many abide in His Father’s house. He also states two other facts. Firstly He goes to prepare a place for them, which is the New Jerusalem ready to be revealed after the millennium kingdom he establishes on earth. This New Jerusalem, however, is brought down from Heaven for us to reside in, not the other way around. Secondly, He states that where I am you may be also, and this is not in the heavens, as He returns to reign on earth for 1000 years. There are many verses that speak of the Kingdom of God, that all refer to Yahshua’s earthly reign ( Mat 21:43, Mark 9:1, Mark 14:25, Luke 11:20, Luke 13:29, Luke 17:21, Luke 19:11, Luke 21:31). And thus our prayer will be answered, thy kingdom come thy will be done on earth as it is in heaven. So then the return of the Messiah is when satan who is the god of this world, will be conquered by the King of Kings. It is absolutely imperative to realize that unless you are born-again, you are not of Him, and will die in your sins. One particular piece of our armor referred to in Ephesians chapter six is the helmet of our Salvation. Our hope is that we may endure until the end and be Saved (Mat 24:13). It is this assurance of Salvation that we have through Christ that allows us to stay the course, and avoid the need for false hopes such as the pretribulation rapture doctrine. There are those who are a witness for Yahshua during the Great Tribulation period that is three and a half years in duration. Obviously, the Pre tribulation Rapture deception is just that, deception at its fullest. Many of these believers who are the church are beheaded for refusing to follow the Anti-Christ. The Pre tribulation Rapture deception suggests that Christians are taken away before this time of trouble. But what special rights does this group have over the rest of the body that suffered for their faith? Yahshua Himself declares that the Pre tribulation Rapture deception is a nonsensical myth, as His elect are not taken out of the world. There are several promises hidden to most in the Lord’s prayer. None of them allude to a pretribulation rapture. Thy Kingdom come, on Earth as it is in Heaven. We are not taken up to Heaven, but Christ brings it to us. John 3:13 And no man ascended up to heaven, but he that came down from heaven, even the Son of man which is in heaven. The Pre tribulation Rapture deception movement claims that after Revelation chapter three the church is no longer mentioned, as proof for this early gathering of the church. But if the church is taken away what do we make of these martyrs that are referred to as brothers and fellow servants? Daniel chapter seven speaks of the saints who have to contend with the beast, which is further proof that the church does indeed go through this time of trouble. So even the prophets in the Old Testament declare that the Pre tribulation Rapture deception is but a man made myth. There is no rapture escape clause. We will finally have righteousness on earth as well as justice, what a time of joy it will be. Isaiah 11:8-9 And the sucking child shall play on the hole of the asp, and the weaned child shall put his hand on the cockatrice’ den. They shall not hurt nor destroy in all my holy mountain: for the earth shall be full of the knowledge of Yahweh, as the waters cover the sea. What a time of change, a new beginning, and transformation. Those who are true Spirit-filled ambassadors of Yahshua will never fall for lies such as the Pre tribulation Rapture deception.